Is the number 13 really unlucky? Was Apollo 13 and the 13th day of the month something NASA should have taken into consideration? Logic and common sense dictates that superstition is just that – superstition. As a kid in the 1960s, I was particularly interested in the NASA Apollo space missions. I can remember staying up late to see the live video images of the first steps on the moon with Apollo 11. 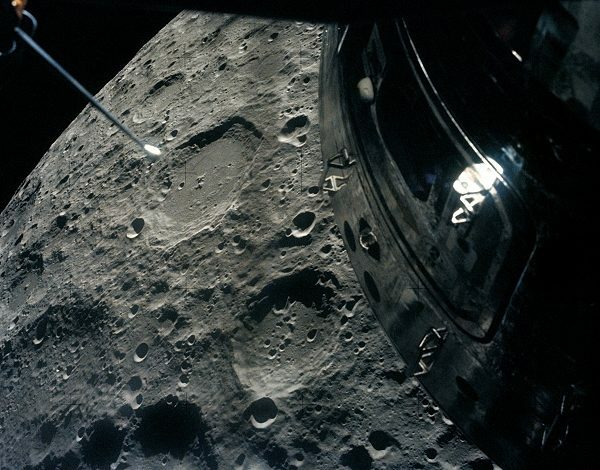 Yet – in the wonder of being a kid – unlike the rest of the majority of people began to loose interest in the Apollo missions as they appeared to become routine, I was enamored by every mission. In the 5th grade, my class made a field trip to the Florida capitol building where NASA loaned a display with a moon rock. The rock was small, ugly and grey. Yet – it amazed me and I pressed my face up against the plexiglass barrier to get as close as I could to something that was once 250 million miles away until men from America brought it back. 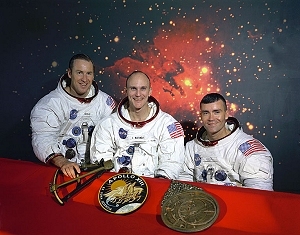 SO – on this day in history, Apollo 13 was launched and then had that mysterious explosion. Another opportunity to see another mission on TV. But something went very wrong. As we watched – we felt something went wrong as the television commentary became short and long moments of silence … at first because there was less coverage at first when the problem happened … routine was expected – but it was obvious when something went wrong. At least – when the media had the facts and were ready to convey those facts to the public watching their little television screens – the press let us all know collectively. A stark contrast to today’s press that races to put on air anything that will scoop their competition. The rest is history – even a great movie everyone should see. Bottom line is the men came back alive. It is so very interesting to think back to that time. The wonder of pure innocence mixed with the pure innocence and wonder of taking the best in science and engineering to so something amazing. Life is fragile. Exploration into the unknown is never routine.